This is a cute and quick way to show someone that you love them. 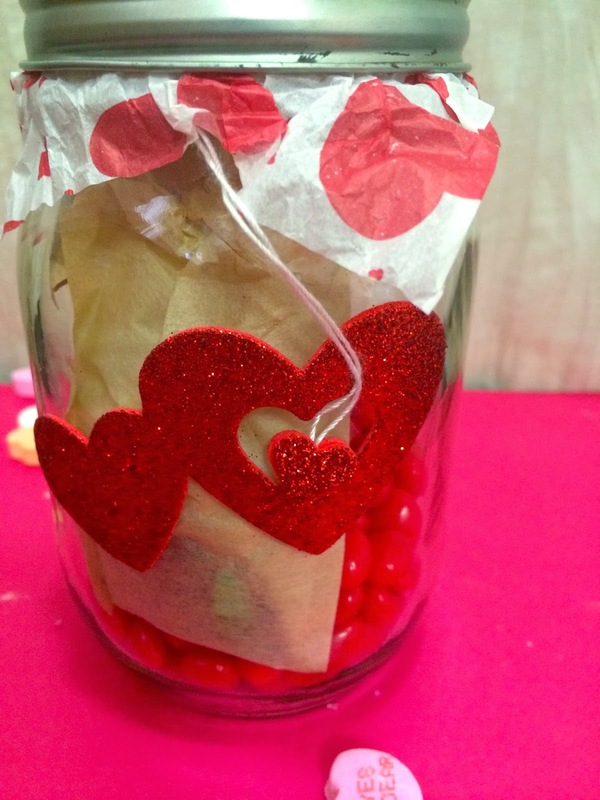 I had everything I needed to make my Love Jar around the house. I got the idea from Collen Ludovic she has a full tutorial here. I decorated the outside of my jar with glitter heart stickers that I got from Michael's. 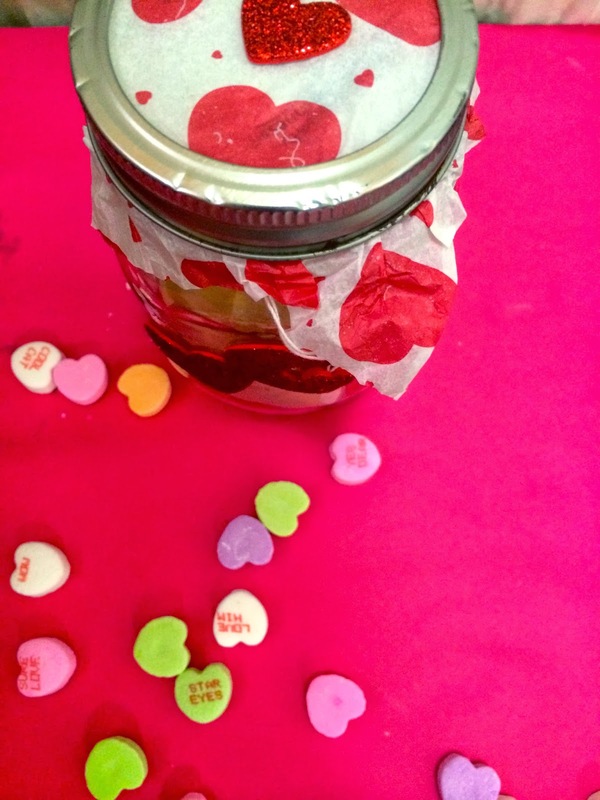 I covered the lid with some heart tissue paper I had left over from last year's Valentine's Day. 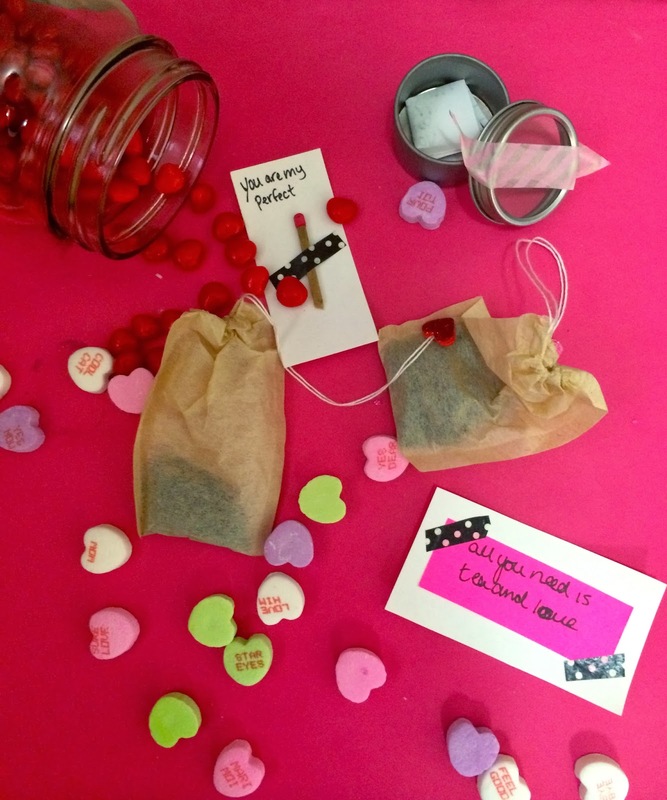 I filled my jar with some cute notes, cinnamon hearts and Love Tea #7. I used the tea filters that I had and secured the end with some glitter heard stickers to make them a bit more festive. This is seriously so adorable. Great idea! !